This week on the wrist is borne almost purely out of curiosity. 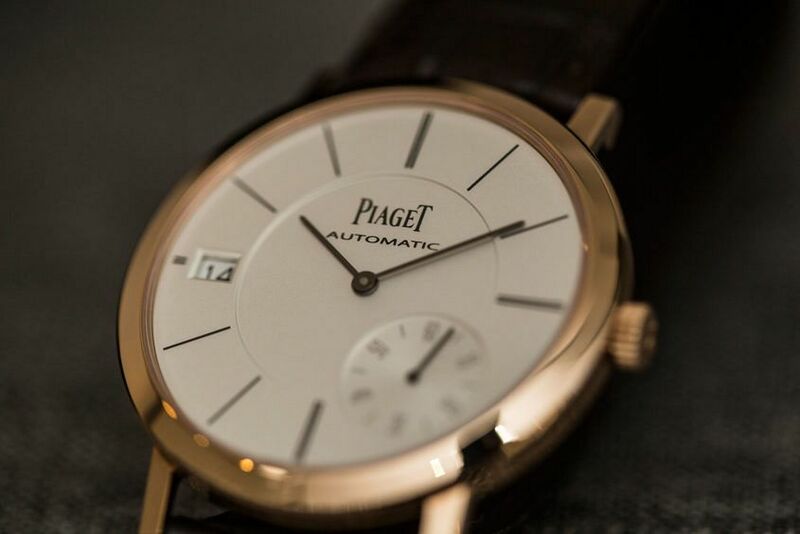 I have tried on Piaget Altiplano watches over the years and found them unusually comfortable to wear. 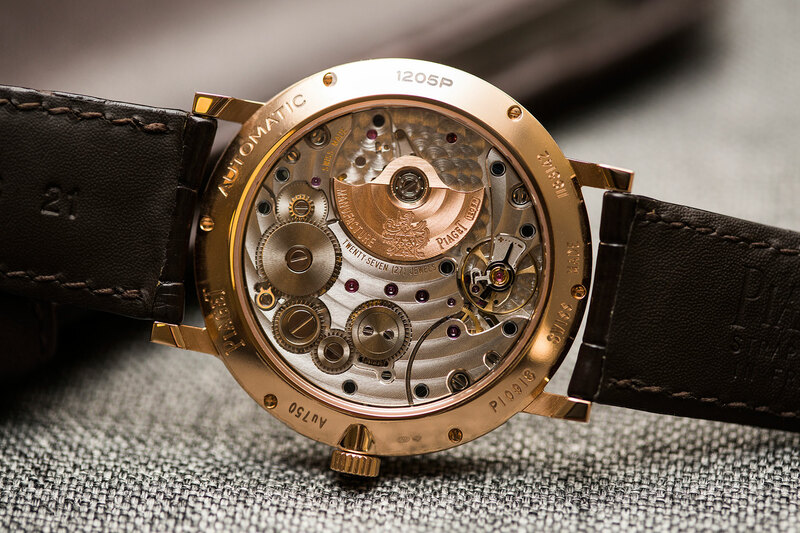 In interviews and conversations with Altiplano owners, there’s always a resounding refrain of “it’s hard to go back to heavier/larger/thicker watches once you get used to it”. 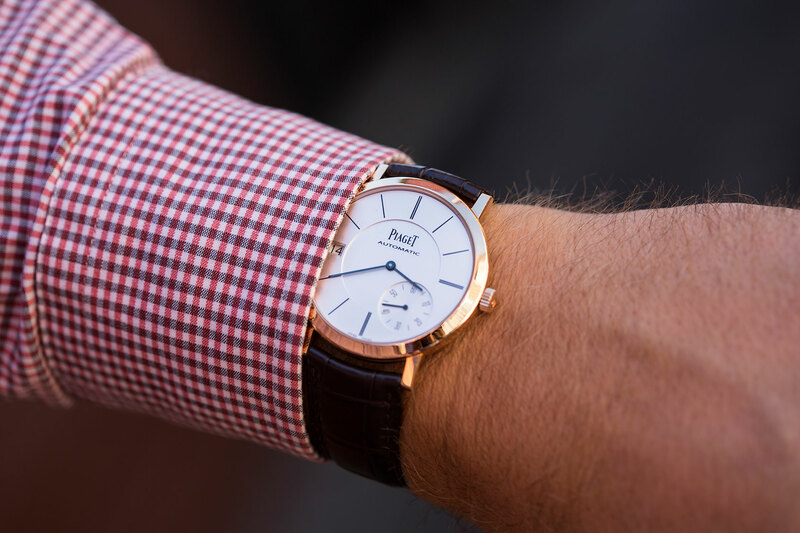 So, when given the chance to have an extended period of time with the Ultra-Thin date in rose gold, I jumped at it. My first impression was… That it’s a clean, deeply stylish statement, and that I might need a new wardrobe. 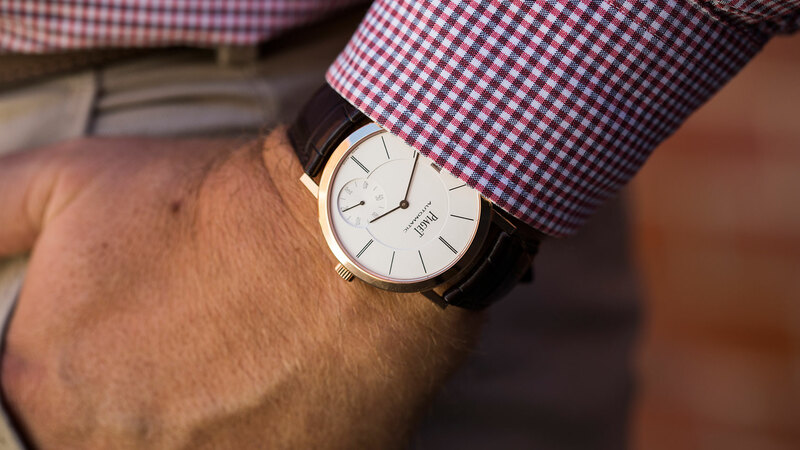 A watch this slight and minimal seems to draw a lot more attention to the wrist, and the cuff, and the accessories that are being worn with it. While it’s saying very few words, they’re all well chosen, and they’re all expensive. Good luck dressing down this quiet achiever. Once I put it on, it felt… Hey, wait, is this thing actually on? Any heft you associate with gold does not exactly apply. 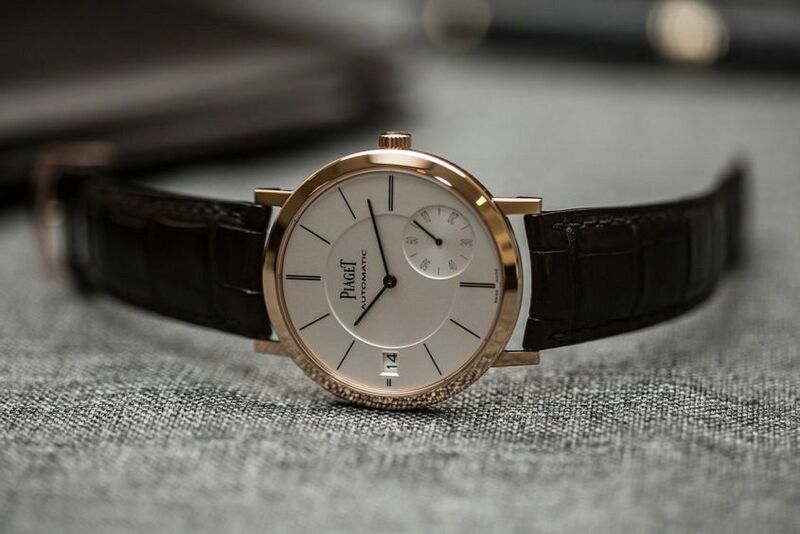 While this Altiplano model is indeed pink gold, it is extremely light, and the comfort Altiplano wearers swear by is in full effect. Looks-wise… It’s minimal and mercurial. Having said that, it’s very interesting to me how dissimilar the Altiplano is to the slew, nay, the scourge of generic minimal fashion brands currently on the market despite the elements being similar. It’s smaller in diameter, obviously eminently superior in materials and overall proportionally perfect. The mercurial part comes into it when, on about day two or three, you note the less-than-obvious details of the watch, and mostly the quality of the materials – the finely textured dial, the lustre of the gold. What stood out to me was… The comfort factor. I don’t own many slim watches, apart from a couple of vintage pieces, and they’re not comparable in wrist feel to the Altiplano. Also the clear caseback. Would you look at that movement. I’d wear this with… Cocktail, formal, or smart casual if I wanted to blow people’s minds. It’s definitely NOT an everyday work wearer, and the pressure it applied to put more effort into my daily ensembles was, at times, unwelcome. I did mix it up one day with a fitted white T, khaki bomber, black jeans and Lanvin kicks. The gold popped. If I could change anything… I’d change my physique. What turned the heat up on this piece for me was seeing it on Michael B. Jordan’s muscular forearms. The contrast of refined and statuesque knocked me out cold – once again, it’s that next level of confidence above ‘look at me’, that is, ‘what is that?’ Unfortunately, at the time of my week with the Altiplano, I’d had an ‘extended vacation’ from the free weights room and I didn’t transmit the same ‘delicate vs brute strength’ paradox. As far as the watch goes. 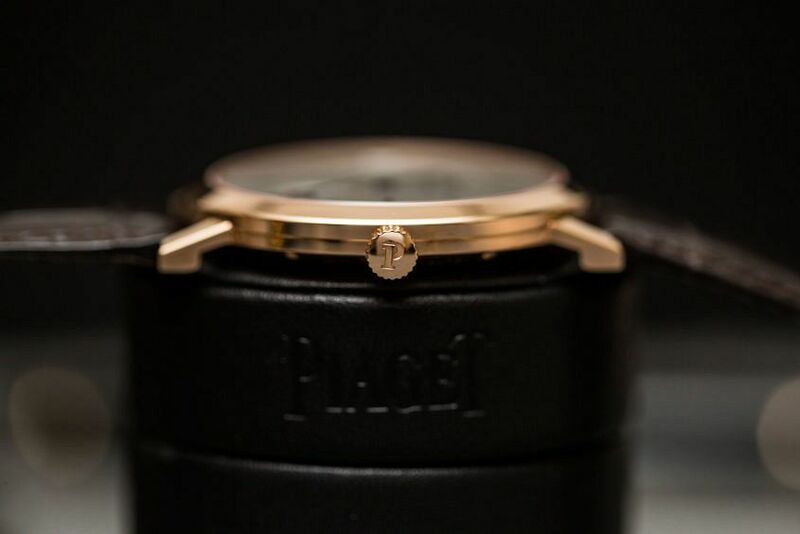 The no-cop-out answer would be, controversially, to have this piece in steel – Piaget did it with the Polo last year, why not the Altiplano? What stopped me from wearing it while typing, for example, for fear of scratching the gold tang, would not be an issue in a hardier, less-precious variant. By the end of the week… I had mixed feelings. I was grateful to go back to a tougher tool watch in steel that doesn’t scream poverty when paired with a puffer vest (yes, I’m modern bourgeoisie), but at my first business meeting, when I was in a blazer with nicely ironed cuffs, I missed it, and the way it slipped so sleekly under said sleeve, and then out again with a subtle movement of the wrist to check the time. This all, of course, says more about me than the watch. So please, consult your wardrobe. None of these problems may apply.